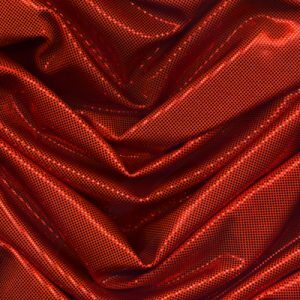 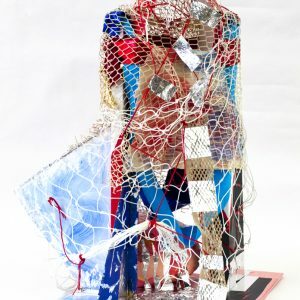 What is the relationship between inside and outside, between skeleton and skin, between the inner framework of a sculpture and its outer form? 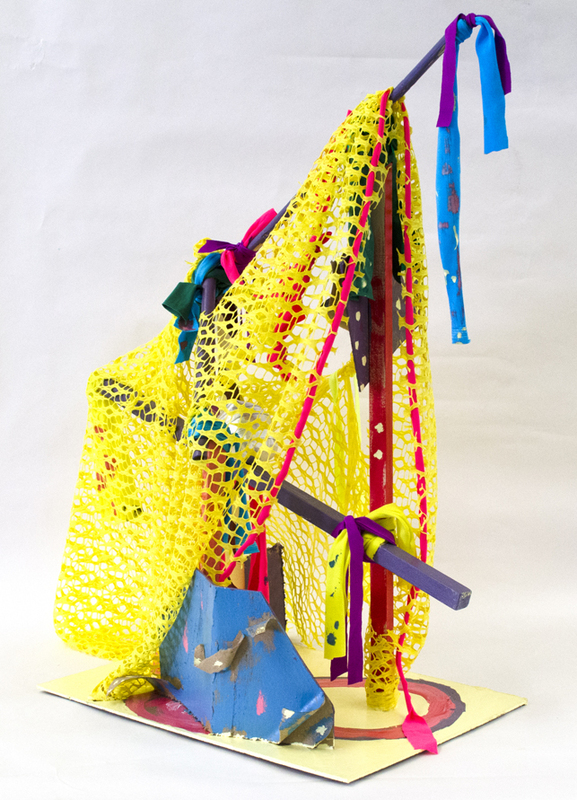 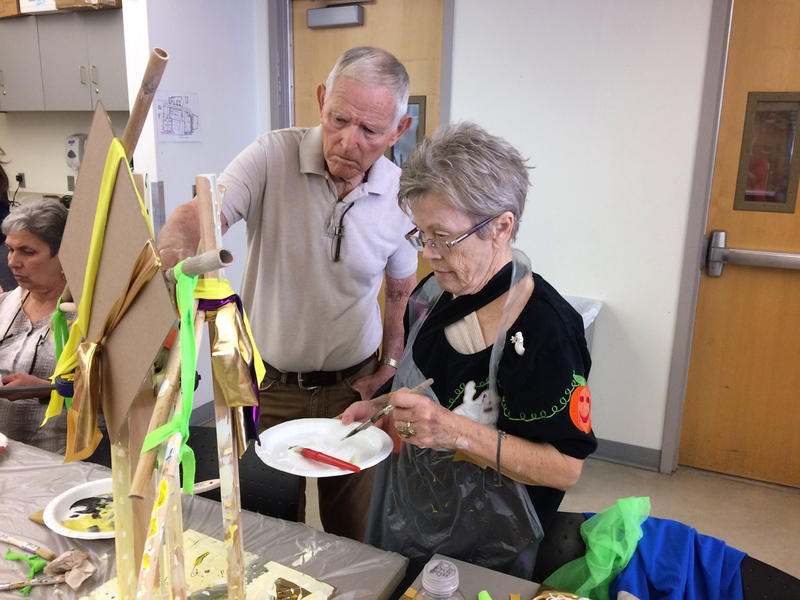 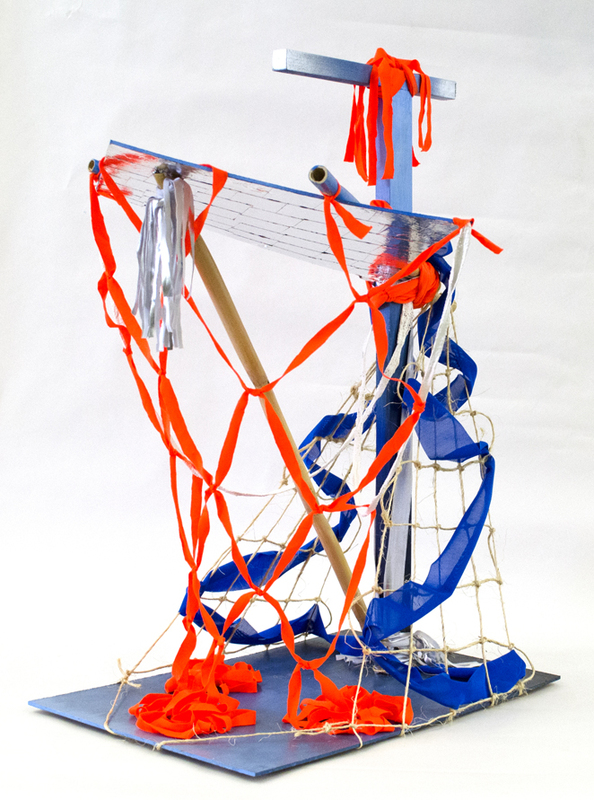 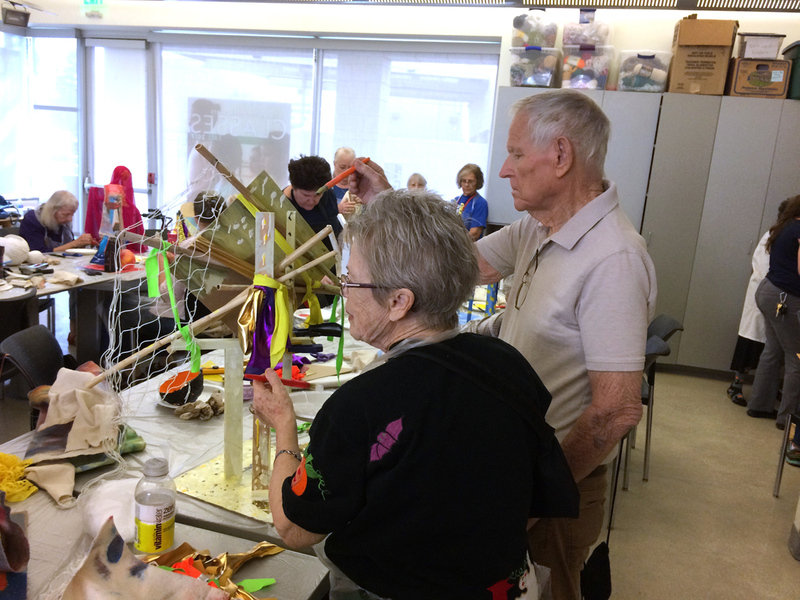 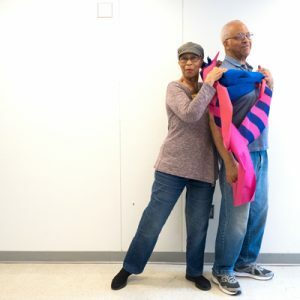 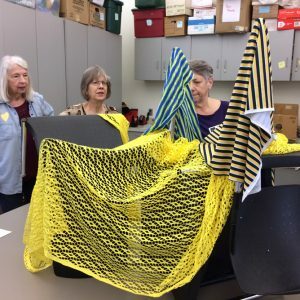 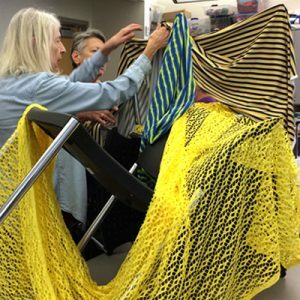 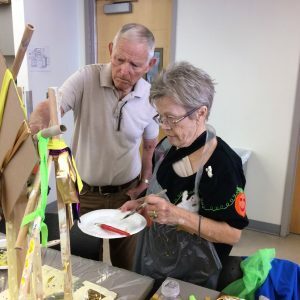 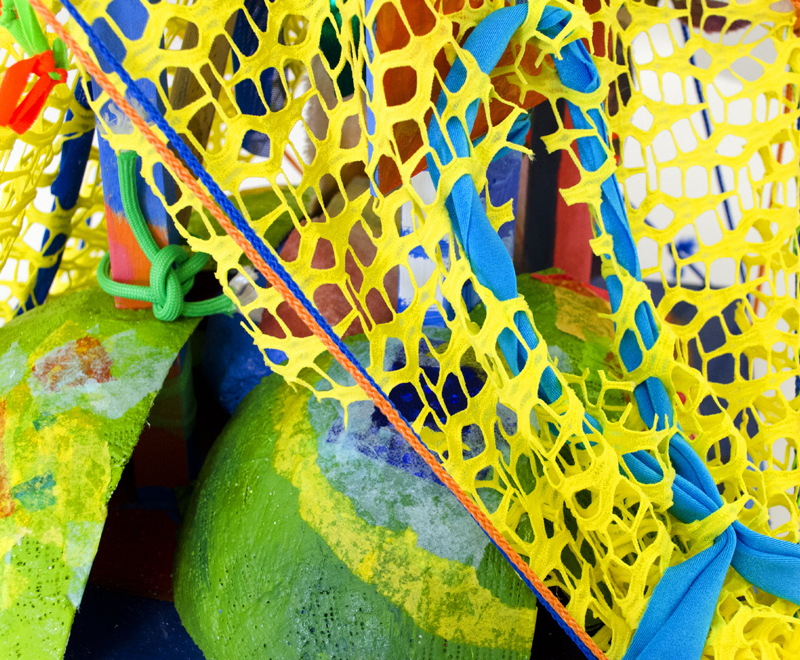 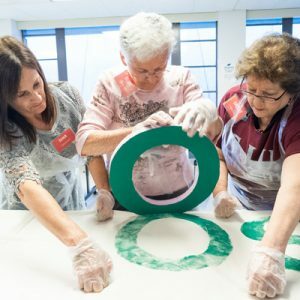 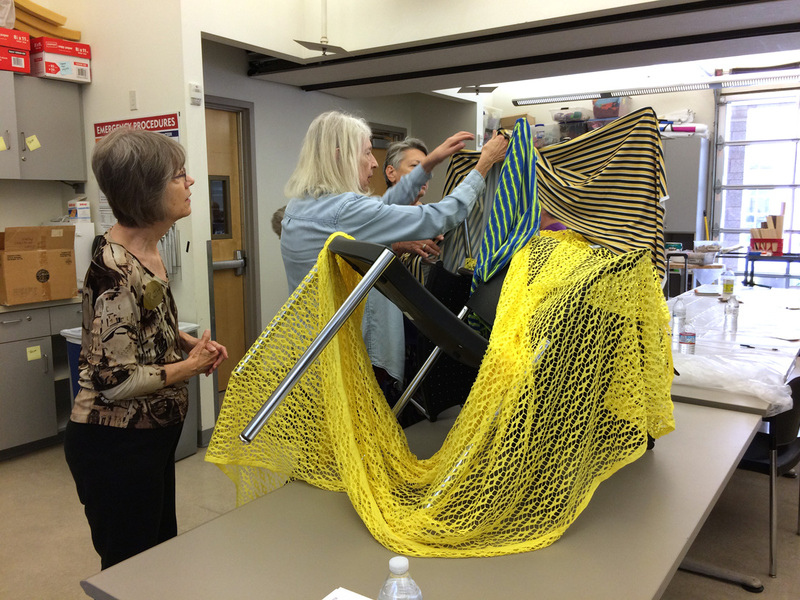 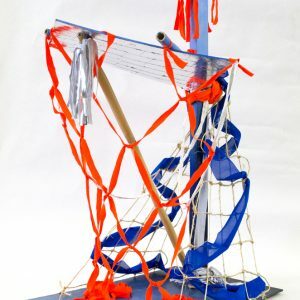 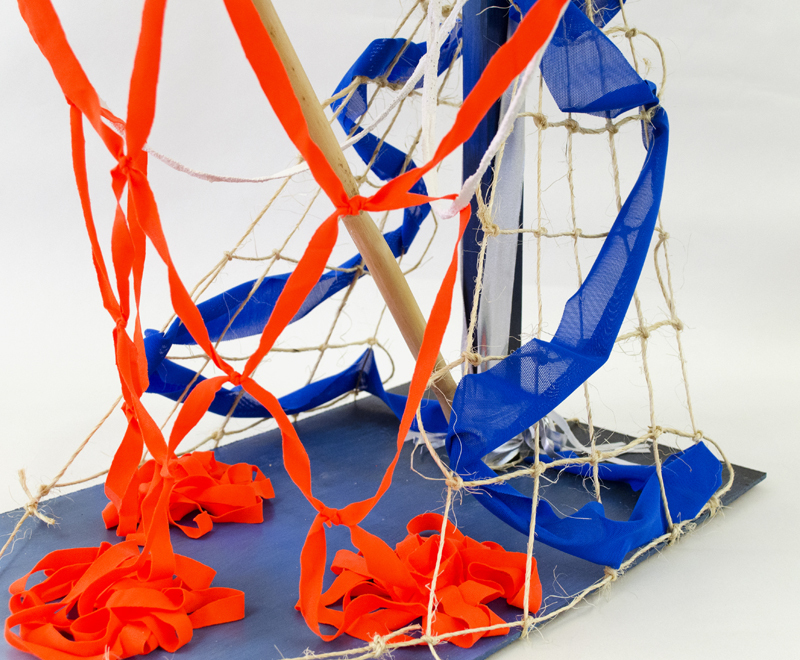 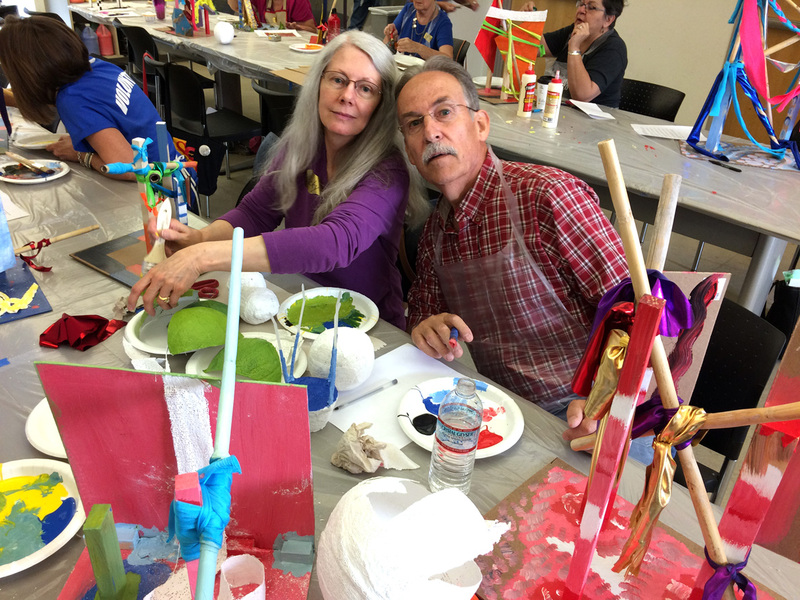 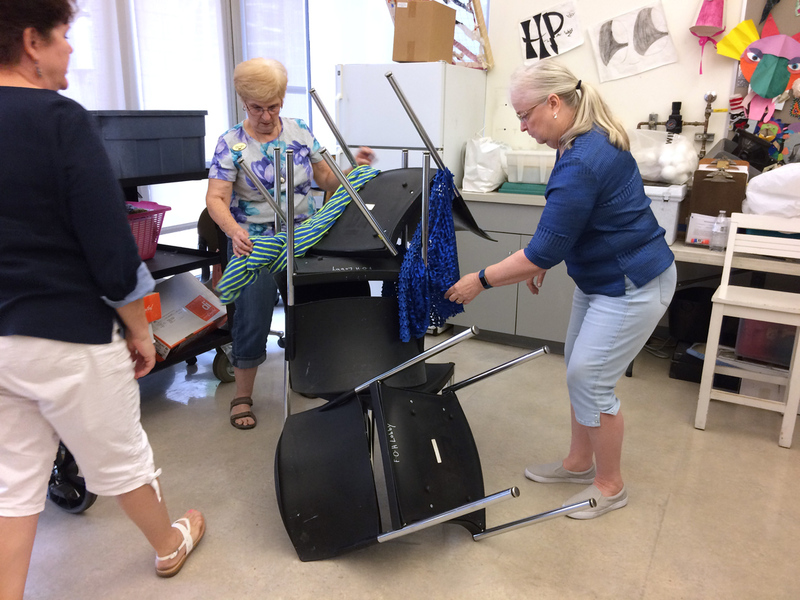 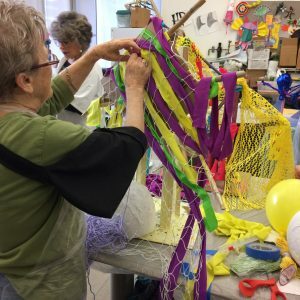 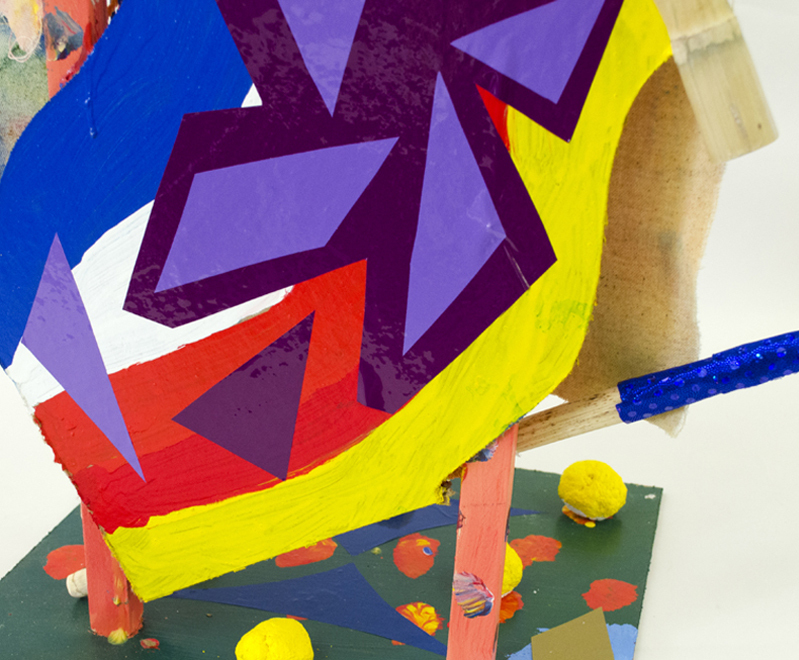 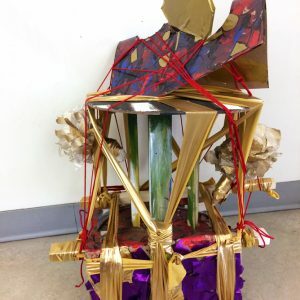 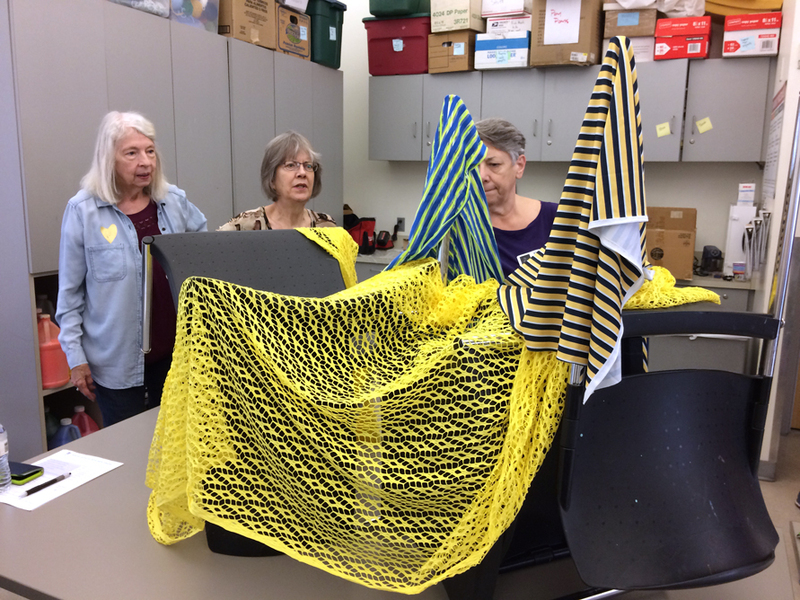 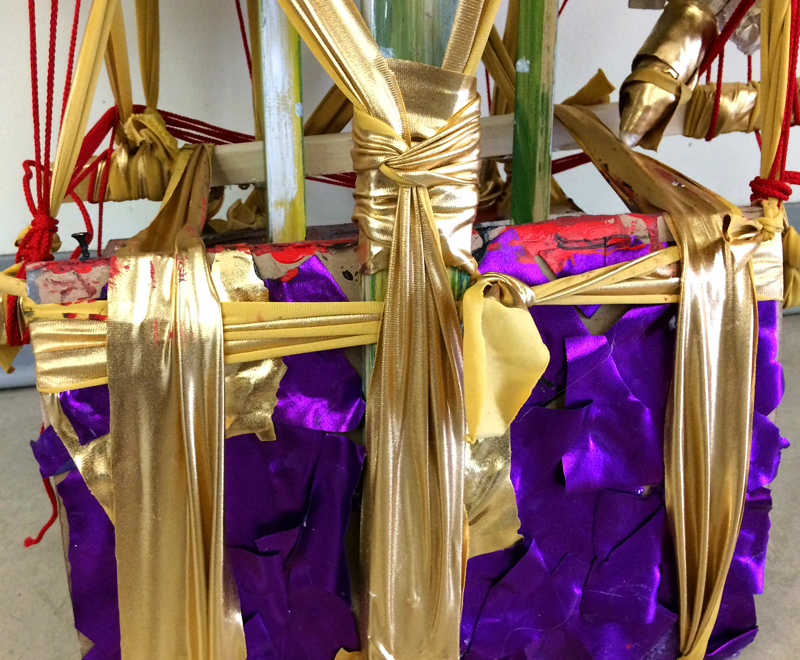 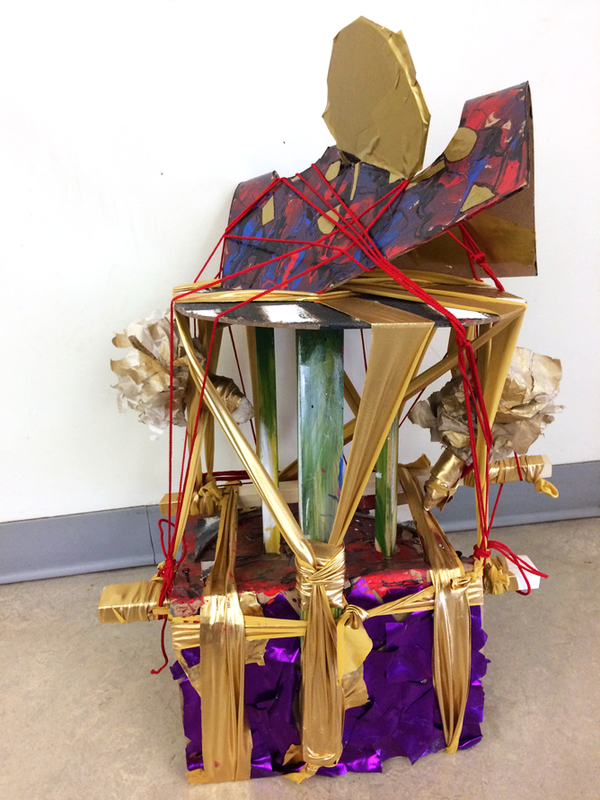 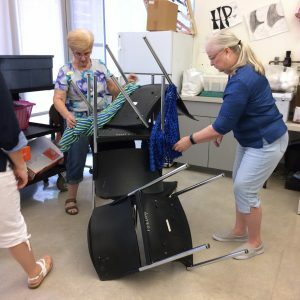 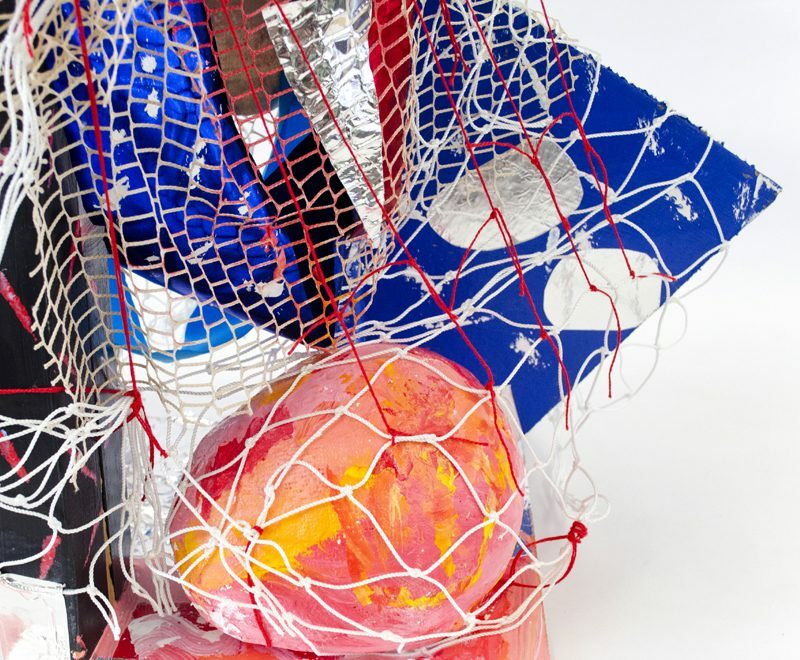 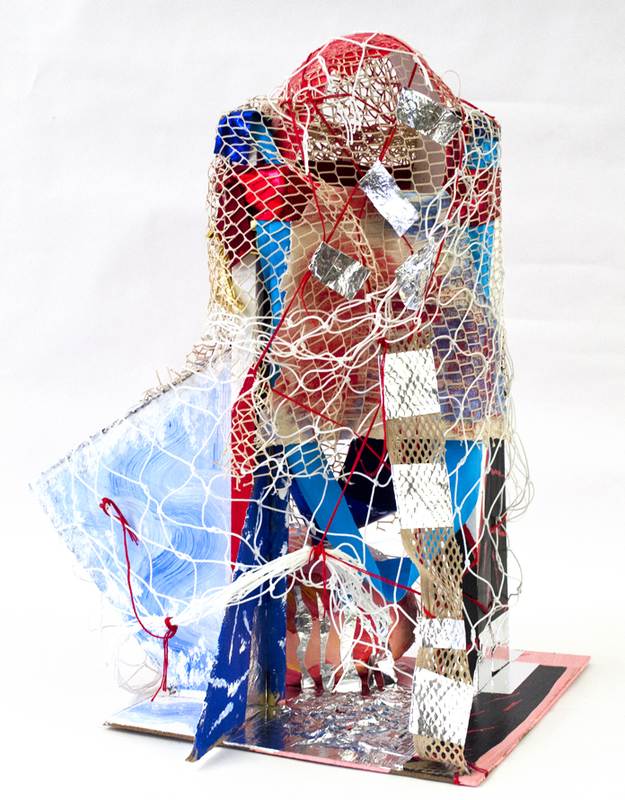 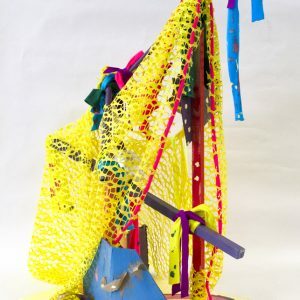 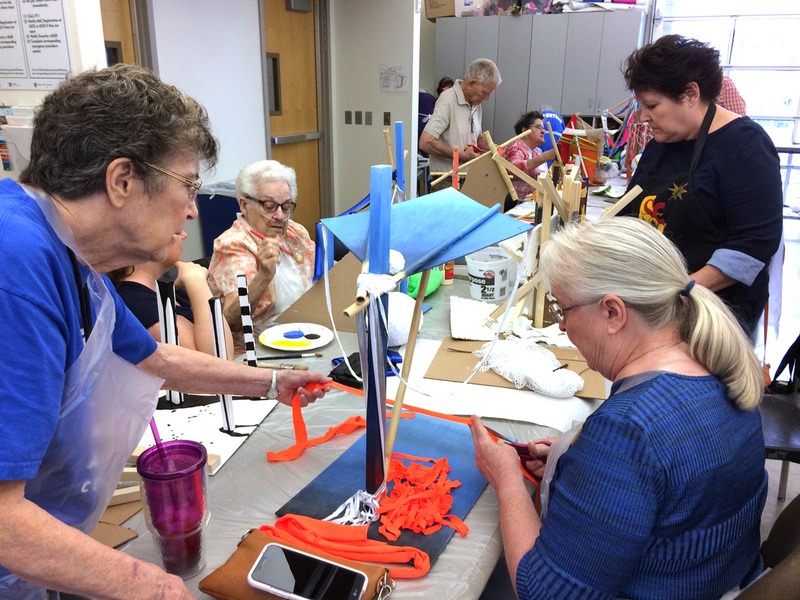 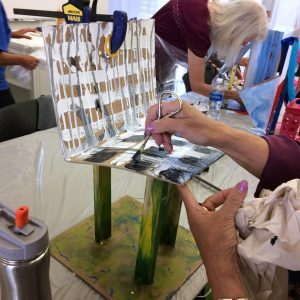 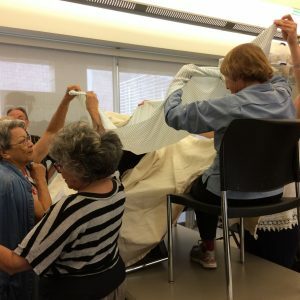 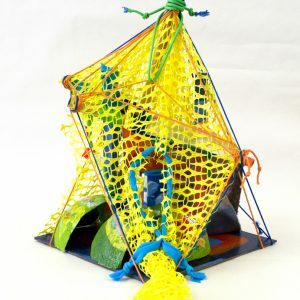 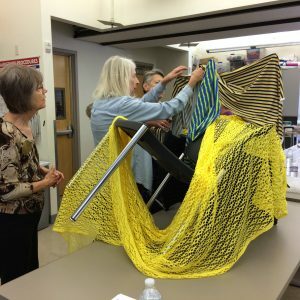 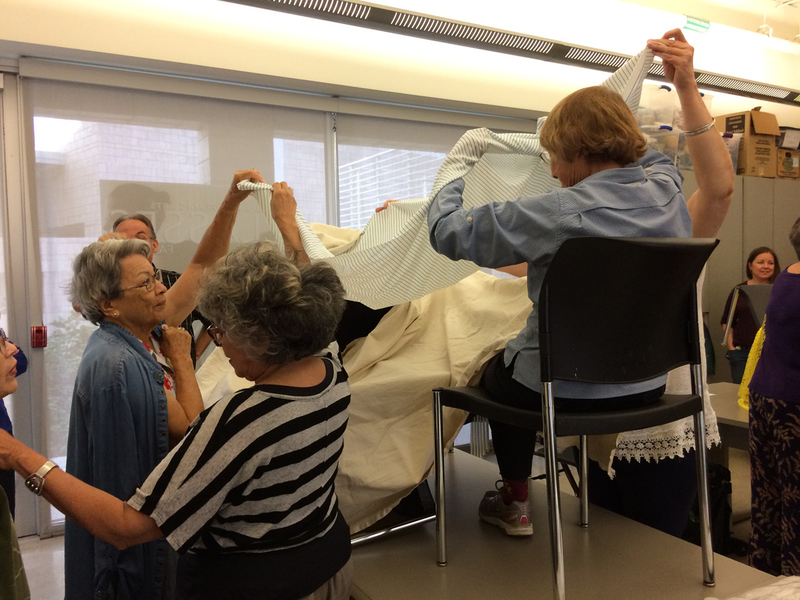 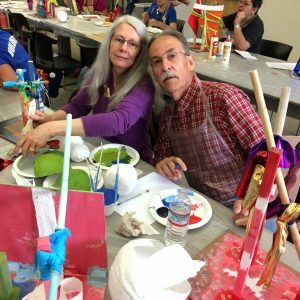 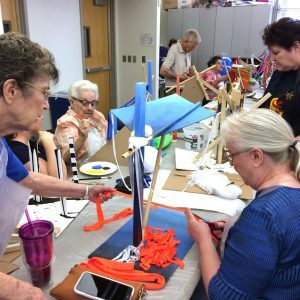 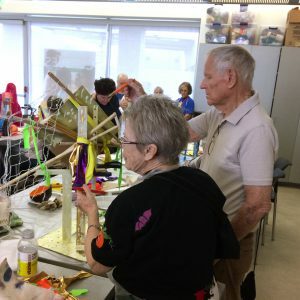 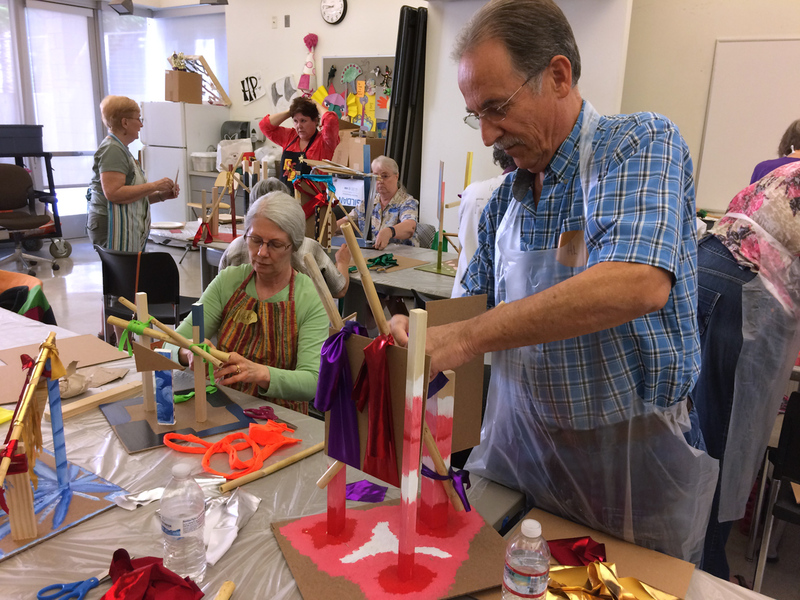 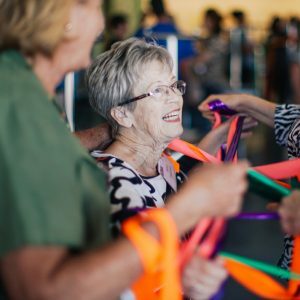 Over the course of 8 hands-on sessions participants create mixed media abstract sculptures that consider the sculptural armature as a physical foundation as well as a visual and conceptual structure. 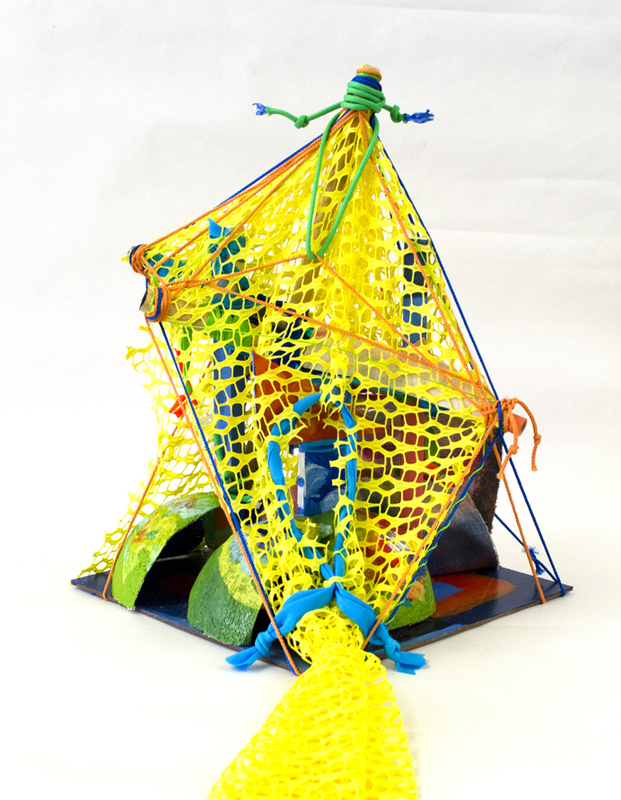 In the first phase of Framework we construct an armature via linear and planar structural elements such as wood and flat geometric shapes. 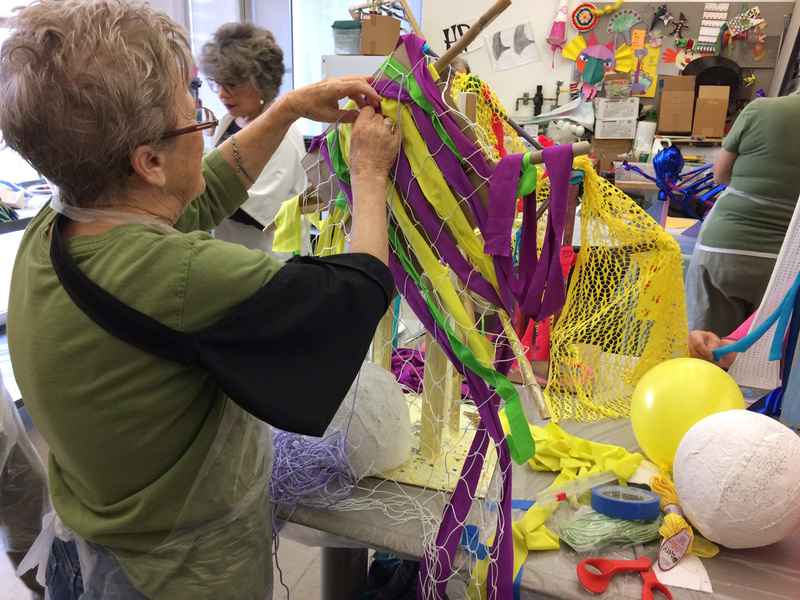 We then begin to alter these sculptural skeletons with color via paint and flexible materials such as papier- mâché, fabrics, cords and net. 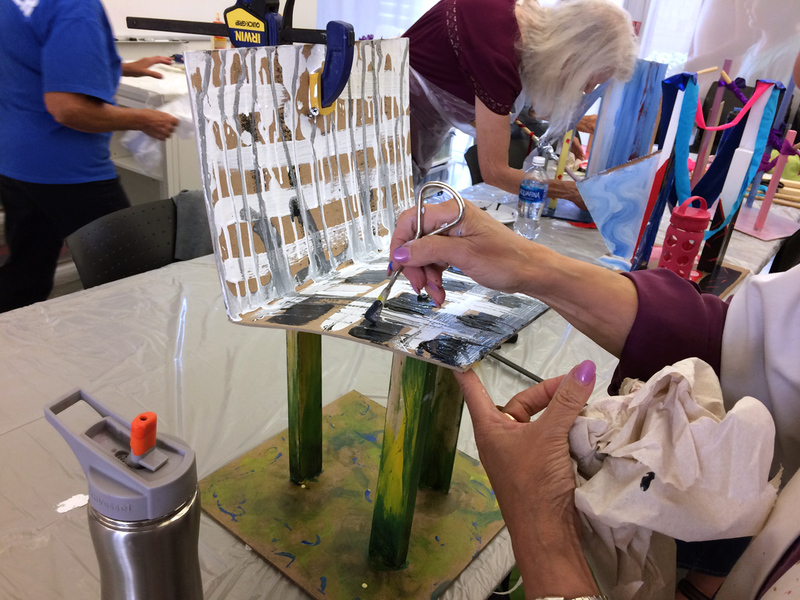 As the layers build up, participants decide how much of the inner story of their sculpture to reveal; bringing their artworks towards cohesive volumes with distinct interiors and exteriors, or towards open porous forms whose interiors and exteriors are intertwined. 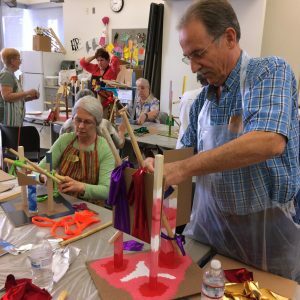 By taking a playful and inquisitive approach to materials and process, participants build the story of their sculptures from the inside out.